Caterpillar Hill...,Walker Pond,... the bridge crossing Eggemoggin Reach, so familiar to yachtsmen, Deere Isle [sic]...., Camden hills... is the Maine that lives in the hearts of all New Englanders..., the Maine of artists, of poets, of the soul. Then there is backcountry Maine, "the Maine that artists do not paint, writers do not usually describe, and visitors do not talk about," wrote Charles E. Clark... People in backcountry Maine say a house is a house, but a house with a shed is a village. 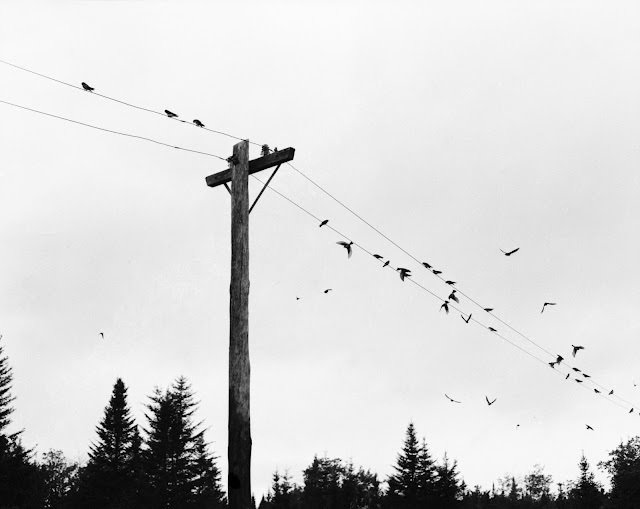 Read Carolyn Chute for her evocative writing about the “other” Maine. I don't remember this paticular road, but I must have been on it, as I spent my twelfth birthday on the rocky summit of Mt. Katahdin. There were other Maine adventures, including a memorable trip down the Saco River, during which the canoe in front of mine overturned in rapids. Campers, paddles and the wannagan holding our food cascaded downstream until they reached a calm pool of gently swirling water. The next summer, we paddled through the Rangely Lakes without incident. To get to these places, we were transported by camp vehicle through that "other" Maine of which Carolyn Chute writes. I've never met any of her people, but I know their Vermont cousins well. Many of them became friends, including a farmer who couldn't read and saw no profit in learning how. A few were genuine rascals who could beguile you with charm before stealing your chain saw. And a very few might have been spawned from a diminished gene pool if I were to believe the rumors. The overwhelmingly majority, however, surprised me with their intelligence, which far exceeded my expectations. So much for preconceived notions. They've never worked for me, nor anyone else I know. These evocative images strike me as capturing a time and place that is desolate, barren, hopeless, forgotten. No people are visible, signposts are decayed, birdhouses look abandoned. These same scenes done in color with a few smiling people around can change the whole feel, and can make beautiful postcards for Maine. But which would be more authentic? That is the Maine of Louise Dickenson Rich. Her neck of the woods, you might say. 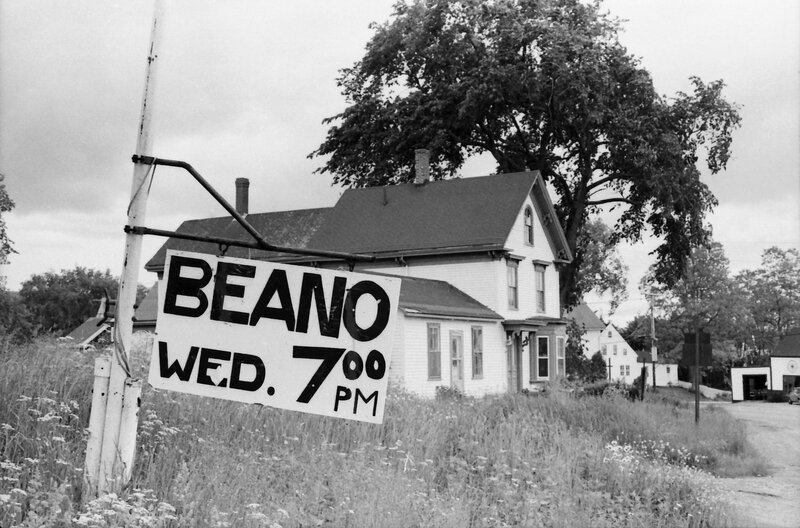 But what does "Beano" mean? Played with beans to cover the numbers. Or used to be. There's a beauty to the other Maine that most visitors will never see past the lobsters and lighthouses. But, "if you can't take the winters, you don't deserve the summers." Now I'm wondering what Stephen King's Maine looks like.